In the War Between. 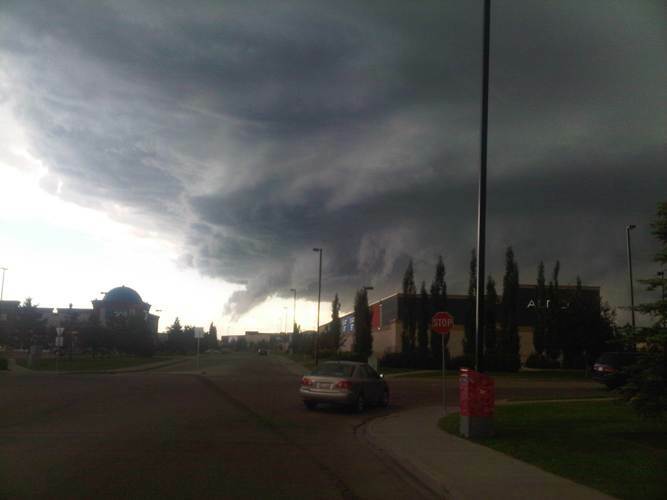 : Edmonton Storm. Came on FAST (I feel for my cyclist friends), tried to destroy us all, rained so hard people had to pull over when driving, it hailed in some places, then fifteen minutes later... gone.